Gary Allen Dodson, age 66, passed away on Wednesday, March 27, 2019. He was born in St Louis, Missouri on December 23, 1952 to James and Millie Dodson (nee Smallwood). Gary was a loving husband, father, grandfather and son. He was an avid golfer, enjoyed fishing and had a great sense of humor and loved to make people laugh. He enjoyed painting and had a passion for animals. He served his country in the Army during the Viet-Nam war. Gary showed his mighty strength in battling cancer for over 25 years. 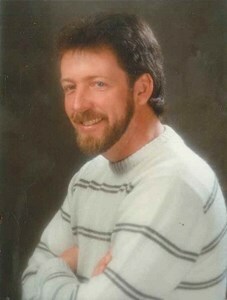 Gary is preceded in death by his father James Dodson. He is survived by his wife of 31 years Marsha Dodson (nee Hills), his mother Millie Dodson (nee Smallwood) his two sons: John McDuffy (Teresa) and Jimmy Dodson (Justina), his daughter Heather Allinger (Bob), seven grandchildren: Jake (Natalie), Hannah, Clayton, Wyatt, Jeremiah, Christian and Madalyn, one great grandson, Kamden, two brothers: Lonnie Dodson (Patty) and Bob Dodson (Beth) and was a loving uncle to his nieces and nephews. Add your memories to the guest book of Gary Dodson. I'm very sorry for your loss. I hope you find some comfort in your loving memories of Gary. Dear Marsha, I am so sorry to hear about the loss of your husband. The love you shared will help you and your family through this difficult time. Take good care of yourself,now. We are so sorry! We sure enjoyed fun times in the youth group at Berkeley. He was welcomed home by his dad! Prayers for you all during this time. So sorry for your lost. Your family will be in our thoughts and our prayers.